A complex of shallow fishponds in the River Dyje valley, within a large landscape park planted with many exotic trees and shrubs, and including many romantic chateux and follies surrounding the historical towns of Lednice and Valtice. The littoral zones of fishponds are covered by extensive stands of reed (Phragmites) and bulrush (Typha spp. ), while the open water supports many aquatic plant species, and the banks that are periodically drying out are host to highly specific communities. The fishponds form an important breeding site and migration stop-over for numerous aquatic birds. The site is a part of Valtická pahorkatina (Valtice highland), the subbasement is formed by Miocene sediments, partly by Pliocene gravels. The morphological geology affected by tectonic activity, as is documented by sulphuric springs in Sedlec. The Nesyt basin is formed by a large tectonic depression inclined from east to west. The fishpond system is situated on a right-hand tributary of the Dyje River. The climate is dry and warm, with mild winters. The average annual temperature is 9°C, the average rainfall is about 500 mm. The site consists of a mosaic of habitats associated with fishponds and the adjacent ecotones between fishpond and adjoining land. As a result of intensive fishpond management oriented towards maximum fish production, typically, communities for eutrophic conditions prevail. The macrophyte vegetation is suppressed, the littoral towards drier areas becomes overgrown by shrubs and trees, and ruderal vegetation is spreading. 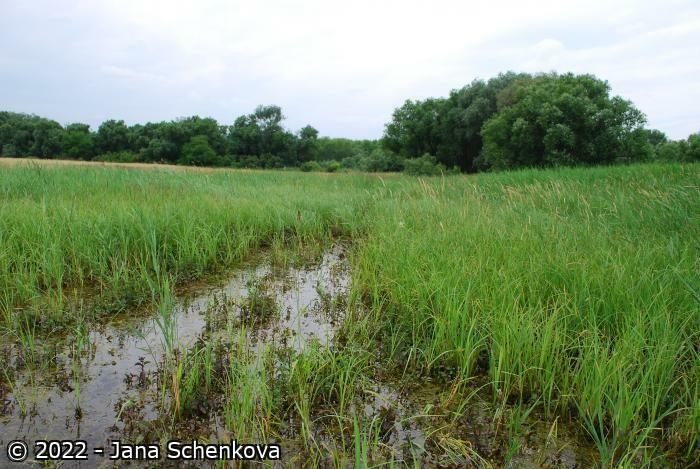 A partial improvement occurred in the 2nd half of the 1990s, thanks to the enforcement of a management plan for the National Nature Reserve Lednické rybníky (Lednice fishponds). The salt marsh, National Nature Reserve Slanisko, at Nesyt fishpond, is a unique site supporting halophytic flora and fauna. The whole complex of five fishponds at Lednice was declared a nature reserve in 1953. However, this status cannot ensure satisfactory protection by itself, as the reserve only includes the area of the fishponds themselves with no buffer zone. Intensive fish production, recreation, tourism. Further tourist services are being established in the area (hotels, golf course). Increasing eutrophication of the fishponds from agricultural run-off, through fishpond management and discharge of domestic sewage (from Valtice). The water table is kept high in order to maximize fish production. Activities of too high numbers of tourists, especially bathing in fishponds. Extensive areas of reed belt have been destroyed around Nesyt fishpond. Accumulation of water, water purification, partly also irrigation. Fish production, high cultural and historical value. The area is highly attractive for tourists. Some of the fishponds are surrounded by a nearly continuous fringe of willow shrubs or trees, in places extending to the shallow parts of the fishponds. Ecotones between the fringe of willow and the open water are overgrown by reed dominated by Phragmites australis and Typha angustifolia. Unique are the halophytic and sub-halophytic grasslands on impermeable clay sediments at the NNR Slanisko by the Nesyt fishpond. Halophytic plant species are represented by: Bupleurum tenuissimum, Crypsis aculeata, Juncus gerardii, Spergularia maritima, Taraxacum bessarabicum, Triglochin marichima, Tripolium pannonicum. Fishponds and their surroundings host the following species: Bolboschoenus maritimus, Chenopodium chenopoioides, Heleochloa schoenoides, Hippuris vulgaris, Orchis militaris, Pedicularis palustris, and Sonchus palustris. 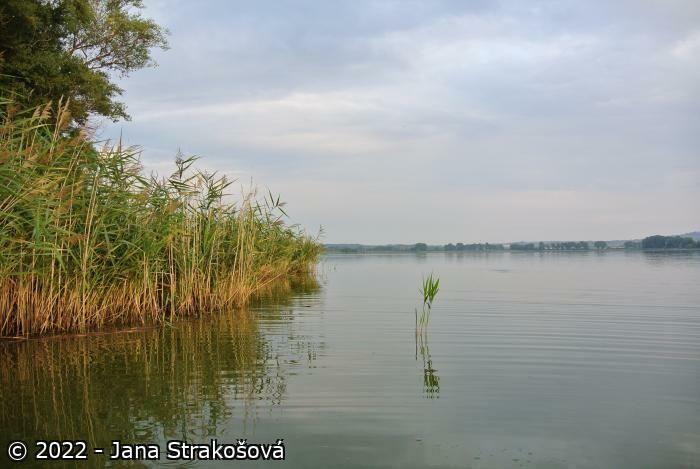 Invertebrates include communities typical of standing waters of the Pannonian region. The reedbeds of the littoral are host to many unique moths such as: Archanara dissoluta, A. sparganii, A. algae, Arenostola phragmitidis, Calamotropha paludella, Cataclysta lemnata, Celaena leucostigma, Chilo phragmitellus, Nascia cilialis, Parapoynx stratiotata, Photedes morrisii, Schoenobius gigantellus, S. forticellus, Sclerocona acutella; and butterflies: Eupithecia pygmaeata, Heteropterus morpheus, Lycaena dispar. 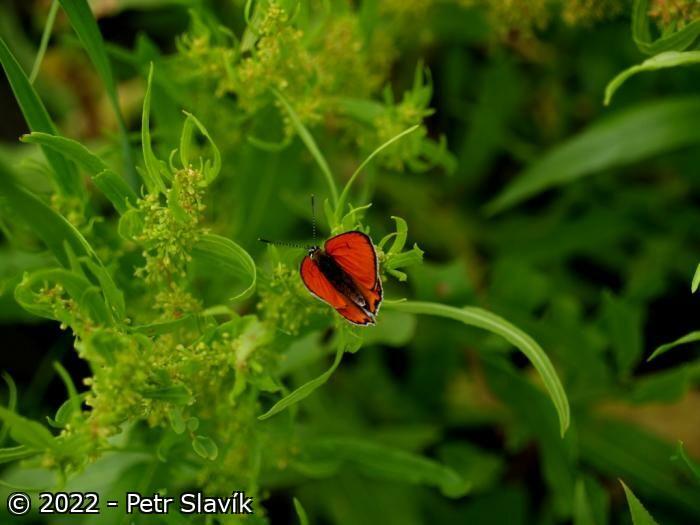 It is the only site for the butterflies Bucculatrix maritima and Coleophora halophilella in the Czech Republic. Both species occur at the NNR Slanisko. There is also a rare beetle Cybister lateralimarginalis, and dragonflies, e.g., Anax parthenope, Hemianax ephippiger, Ischnura pumilio, Orthetrum albistylum. From among the amphibians, numerous are Bombina bombina and Hyla arborea, while rather rare are: Bufo viridis, Pelobates fuscus, and Rana ridibunda. 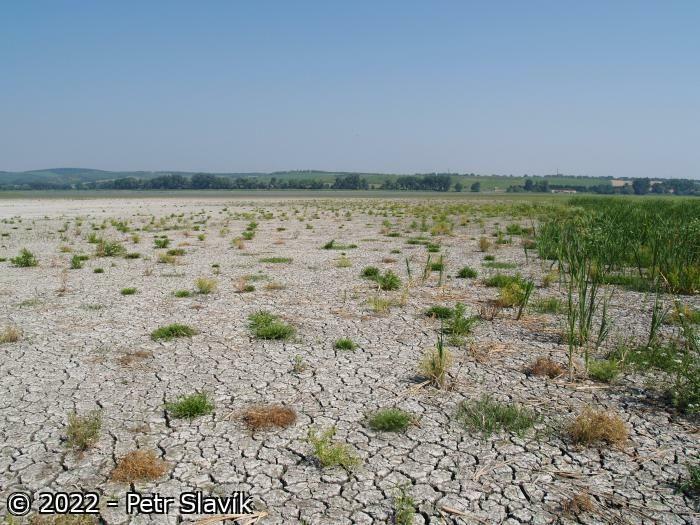 In the past, the Lednice fishponds were highly important site for birds, however, this importance was partly lost following the construction of the Nové Mlýny reservoirs and due to intensive fish production. However, in more recent years ornithological importance has grown again. It is a regular breeding site for Nycticorax nycticorax (about 250 pairs) and Ardea cinerea (about 250 pairs). Furthermore, Egretta garzetta was breeding here in 1988, for the first time in the 20th century. Other regularly breeding species are: Anser anser (up to 50 pairs. ), Netta rufina (20–40 prs. ), Circus aeruginosus (7–9 prs. ), Panurus biarmicus (about 30–50 prs. ), Luscinia svecica (up to 10 prs. ), irregular breeders are Ardea purpurea and Botaurus stellaris. The following species migrate through the area regularly: Anser anser (about 5000 indiv. ), Aythya ferina (5000 indiv. – including moulting here), Anas clypeata (up to 2000 indiv. ), Netta rufina (up to 300 indiv. ), Chlidonias niger (100 indiv.) and hundreds to thousands of waders. Haliaeetus albicilla winters here regularly (2–4, sometimes up to 10 indiv.). Regular waterfowl counts, breeding bionomy, ringing of selected species. Basic botanical and zoological research. An ornithological field station near Prostřední fishpond and a field station of the Pálava Protected Landscape Administration are in use. 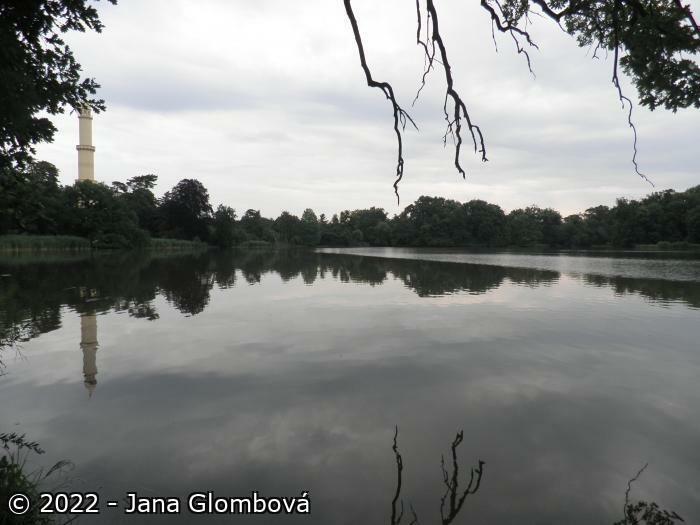 The research is carried out mainly by the Regional Museum in Mikulov and the Pálava Protected Landscape Administration. The area, especially the surroundings of Lednice Castle and Park, is heavily visited by tourists. The number of foreign visitors has greatly increased recently. The site meets criterion 2 (the salt marsh), and criteria 3, 6.